Having an iPhone and not clicking pictures indicates that you are not from this planet. Just kidding! Every iPhone user is proud of the quality of images that its smartphone is capable of taking. But sometimes, your photos get deleted abruptly due to some or the other reason. Today we will have a look on how to recover photos from iPhone backup free. Let us start then. Being the most advanced company in the world, Apple has provided us ways to recover our data if we lose them due to some or the other reasons. And if you have deleted your photos by mistake on your iPhone X/8/8 Plus, then you can always retrieve photos from iPhone backup Mac. This can be done using iTunes. Here are the steps that you need to follow in order to recover deleted photos from iPhone gallery. Step 1: Run the latest version of iTunes on your computer. This should be the same computer where you have a backup of your iPhone 6/6s/6 Plus/6s Plus. Step 2: Connect iPhone to the PC using a USB cable. A notification will appear asking you for your iPhone passcode or weather to Trust This Computer. Follow the onscreen instructions. Now, select your iPhone in iTunes. Step 3: Tap on "Restore Backup." You are smart enough to select the relevant back up by looking at its size and date. Click on Restore and wait for your device to restore the data. This will help you recover pictures from iPhone backup file. Even though this is the easiest way to restore your data when lost, it comes with a huge drawback. Employing this method will restore all of your data and not the specific data you wish (in this case, your photos). This is the unnecessary factor attached with this method. In addition to this, you will lose some of your data, which was not present in the back up. In short, this method acts has a half-solution to your whole problem. Moving on to the next weapon that Apple has provided for you to restore your data, you can also retrieve your data using iCloud. It is a different method in comparison to the above one, but with the same result. Let us have a look at the steps that you need to follow to recover iPhone lost photos. But before we began, you need to check for some things. In order for this method to work for you, you must erase all the data from your iPhone. It is this condition that you should fulfill in order to follow this solution. Let us begin. 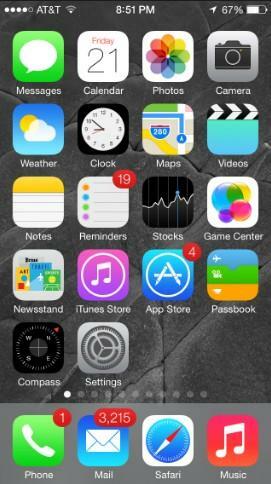 Step 1: After you erase all the data on your iPhone , a Hello screen will appear. Follow the given steps on the display until the Apps & Data screen appears. Next, select "Restore from iCloud Backup" and log in to your account using your Apple credentials. Step 2: Choose a relevant backup by looking at the date and size of the backup. As soon as you choose the backup, the restoring process will commence. Step 3: Next, sign in using your Apple ID account to retrieve your apps & purchases. You can do this later too. One thing to keep in mind is that you must be connected to the Internet till the end of the process. As mentioned earlier, this process is different but with same result. This means, some of your data will be lost that was not present in the backup and unwanted data will be restored. If you are in search of a method that can selectively restore only that data (photos) which is needed, then my friend you are in the right place. The answer is very simple: Tenorshare UltData! The software is capable of retrieving all your deleted data including your photos within on time. In addition to this, you can selectively restore your data such as only photos, messages, videos, and much more. This cannot be achieved using the traditional methods mentioned above. Follow below steps to recover deleted photos from iPhone without backup. Step 1: Select "Recover from iTunes backup files" option on the main screen that will appear once the software detects your iPhone. Now tap on iTunes backup to begin the process. Step 2: After sometime, a list of all your data (including the deleted data) will be shown. To restore only photos, select the Photos option present on the left hand side below the "Media Content Recovery" tab. Step 3: Select the photos you wish to retrieve. This will help you to easily recover deleted photos from iPhone. 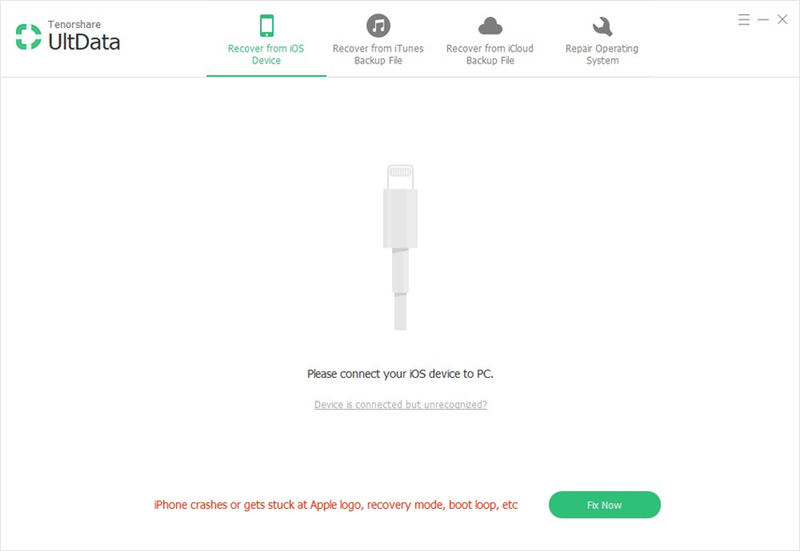 Step 1: Select "Recover from iCloud backup files" option on the main screen that will appear once the software detects your iPhone. Now log in to iCloud using Apple credentials. 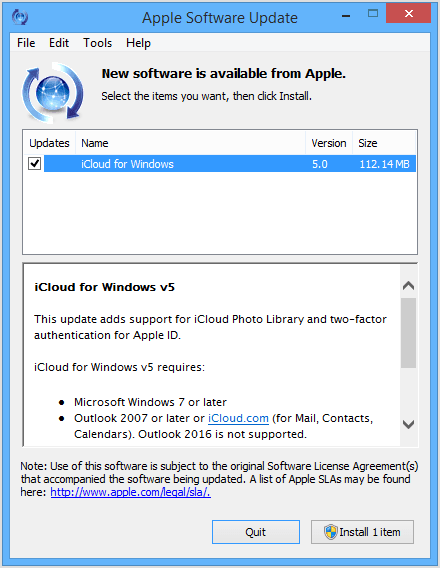 Step 2: The software will show all the iCloud backups present. Select the relevant backup. Step 3: Once you click the backup, your data will be shown. Select the Photos option present on the left hand side of the screen under the "Media Content Recovery" tab and click on Next to begin the recovery. All in all, you just had a look on some of the best ways that will tell you how to recover photos from iPhone backup windows. Was this helpful? Let us know by commenting below.